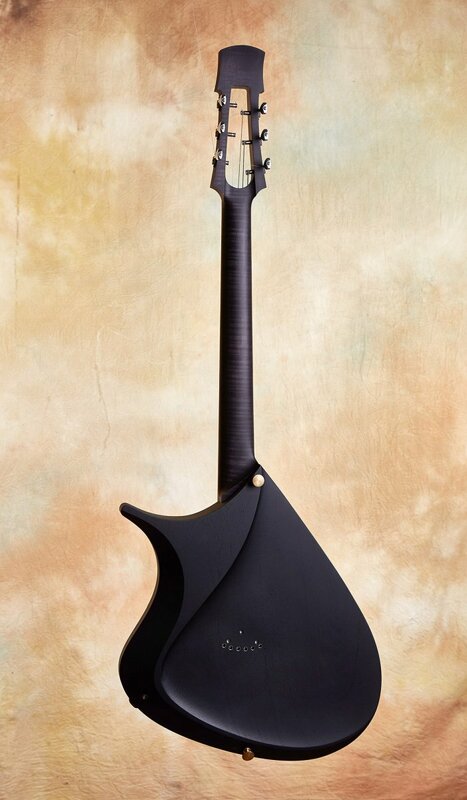 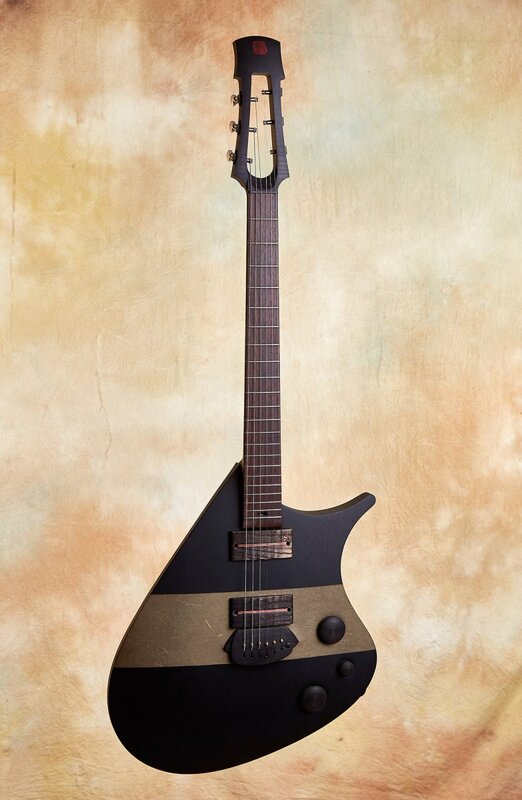 The Tao Yamakage is a guitar designed to have a voice all its own. 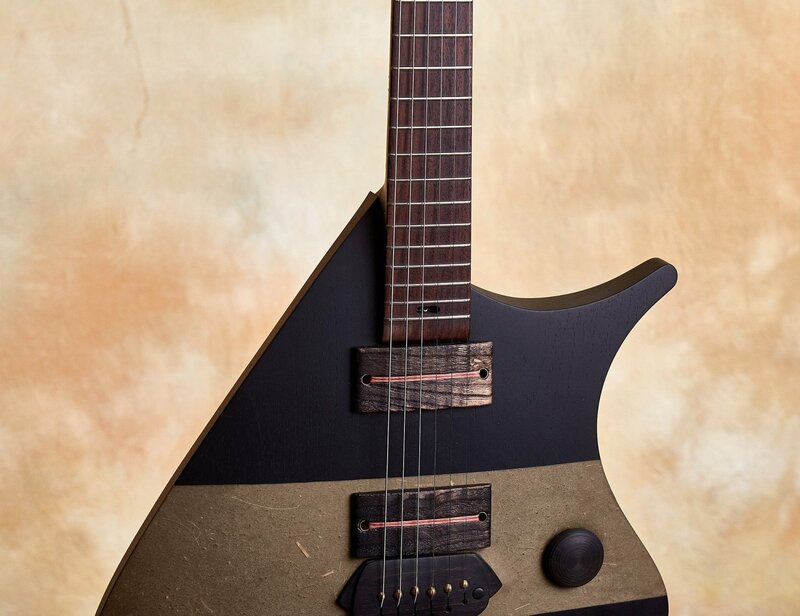 This is a guitar that is just riddled with stunning small design details. 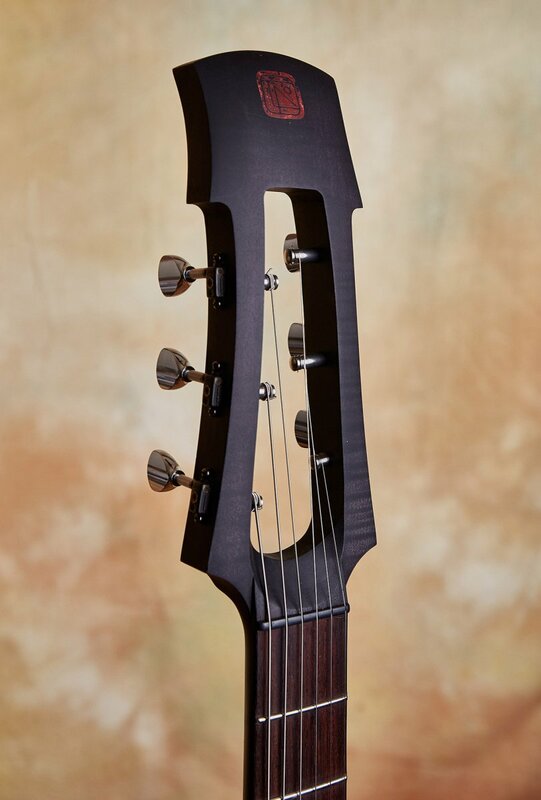 You discover more and more of them as you examine and play it. 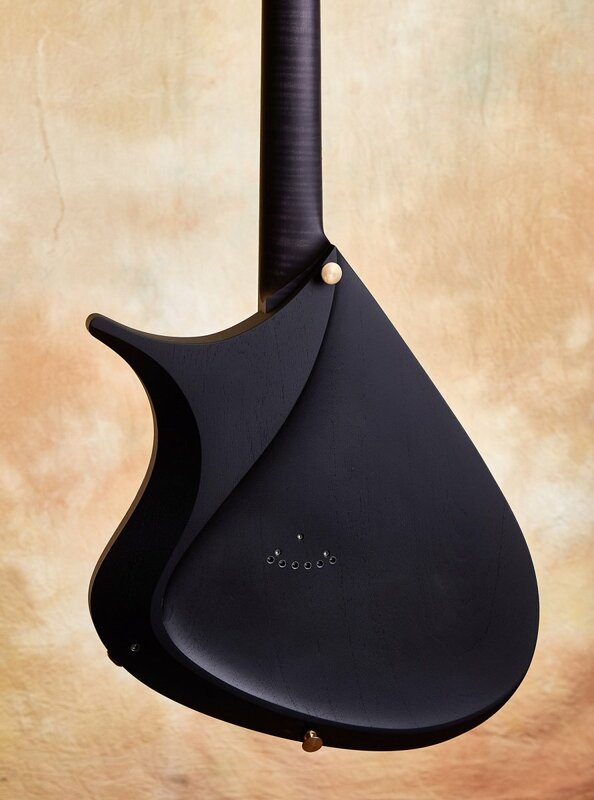 Yet beyond the various deep and expertly executed cultural nods there is an incredible instrument - an instrument with immense depth and range, whose myriad of small amazing sonic details, just like the visual design elements, emerge over time through many surprising moments. 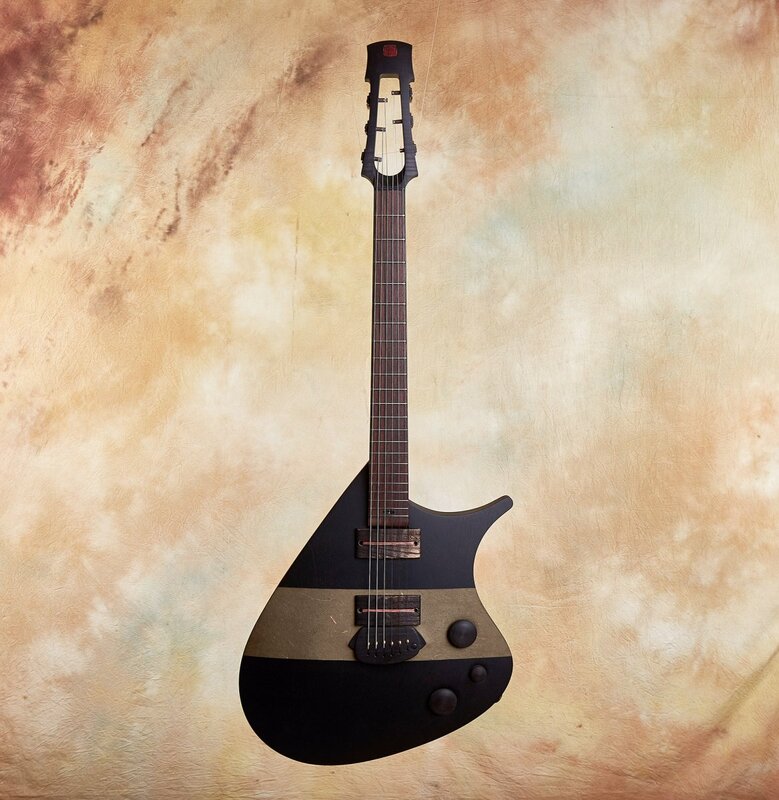 Yamakage translates roughly from Japanese as "shadow of the mountain." 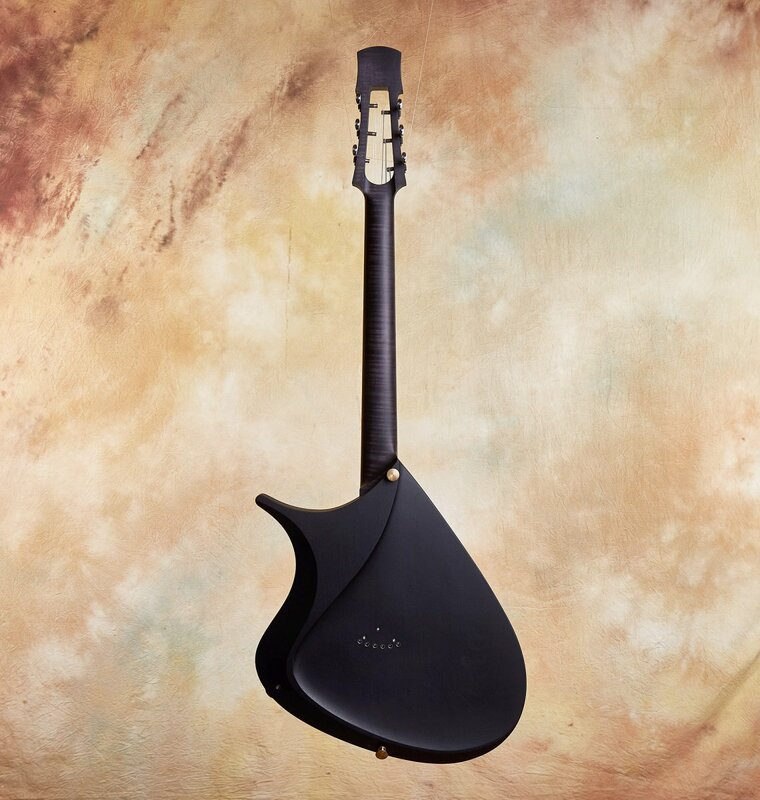 The Tao Yamakage is a guitar designed to have a voice all its own. 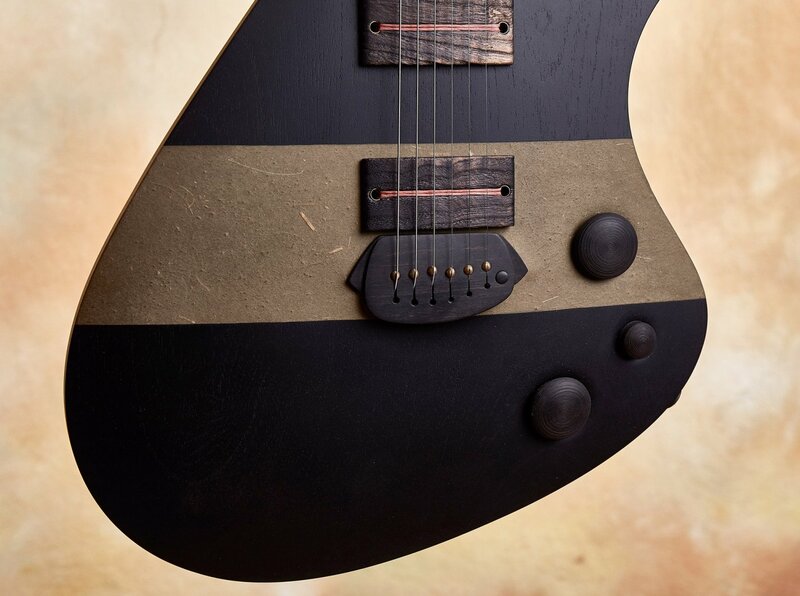 One of the goals in designing the Yamakage was to pay particular attention to the connection between the pure string vibrations and the wood. 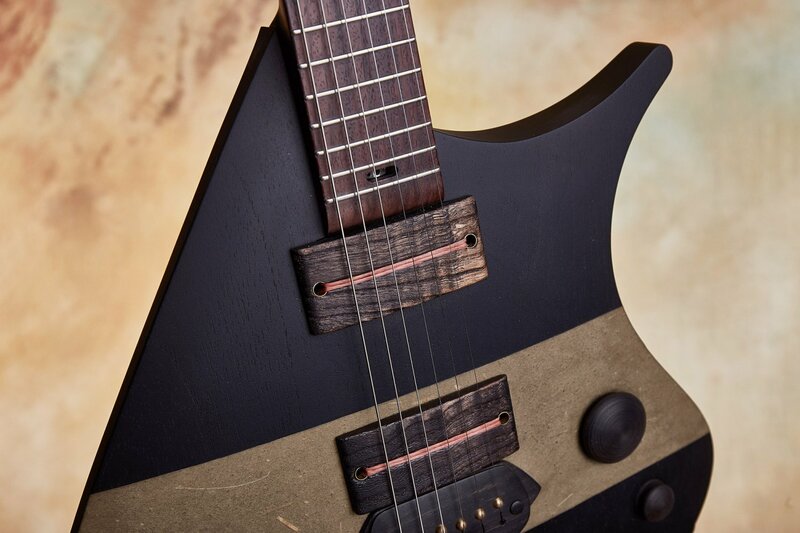 Removing anything that might impede the transferance of energy between strings and wood, while carefully tailoring various aspects of both the transfering elements and the resonating body is what gives the Yamakage its depth of tone. 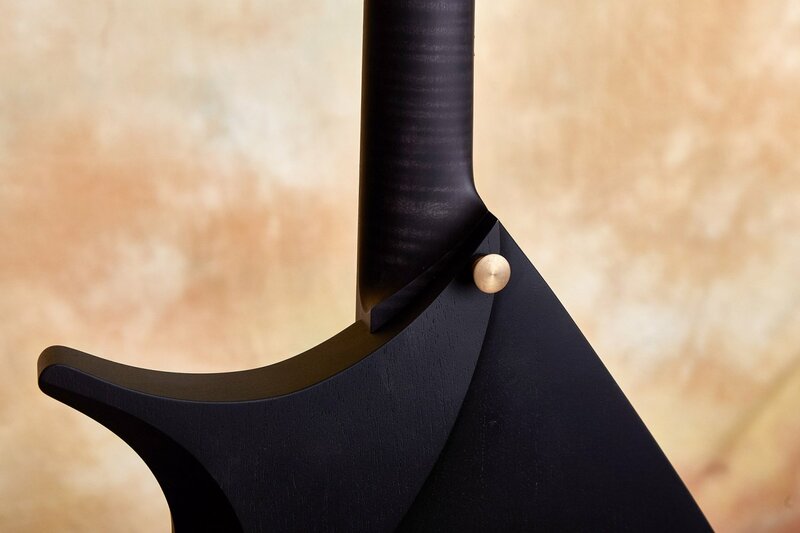 For instance, the fixed saddles are actually brass cylinders that are only held in place by the ebony bridge while penetrating down into the spanish cedar body. 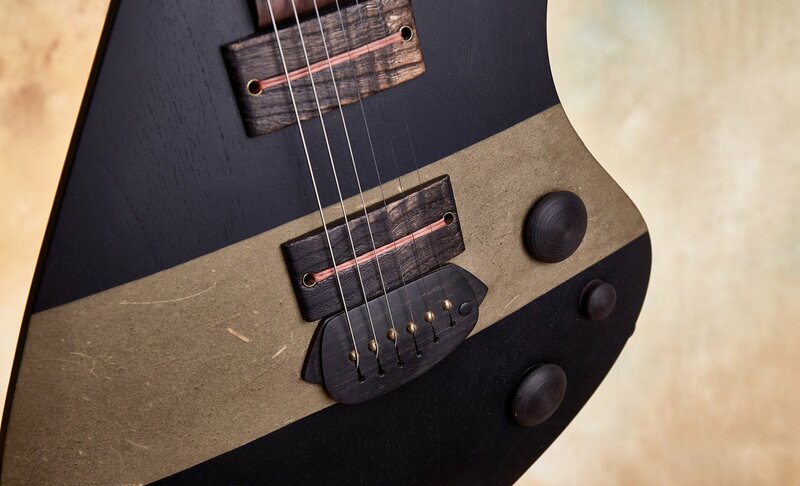 The back is carved so that your belly is not damping the vibrations of the wide thin body. 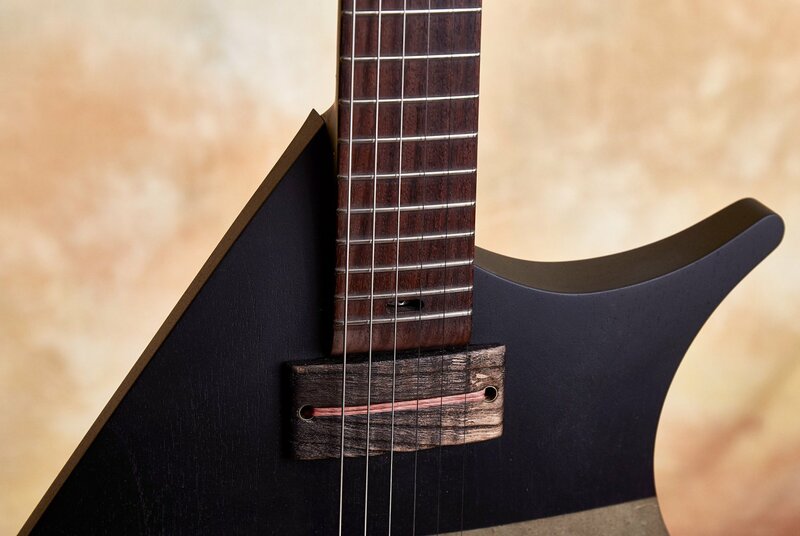 A special electro-mount avoids the need for a control cavity in the body, leaving more wood for resonance. 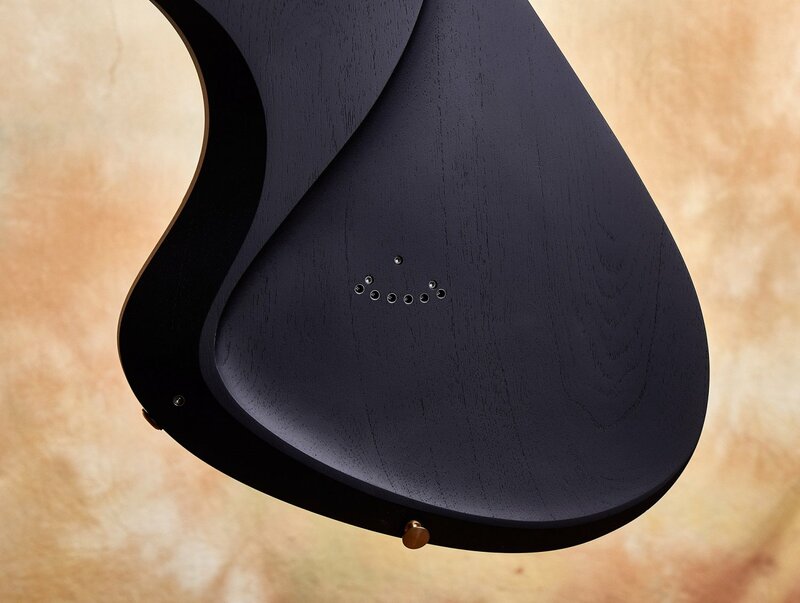 Beyond depth of tone, some amazing sustain results from these efforts. 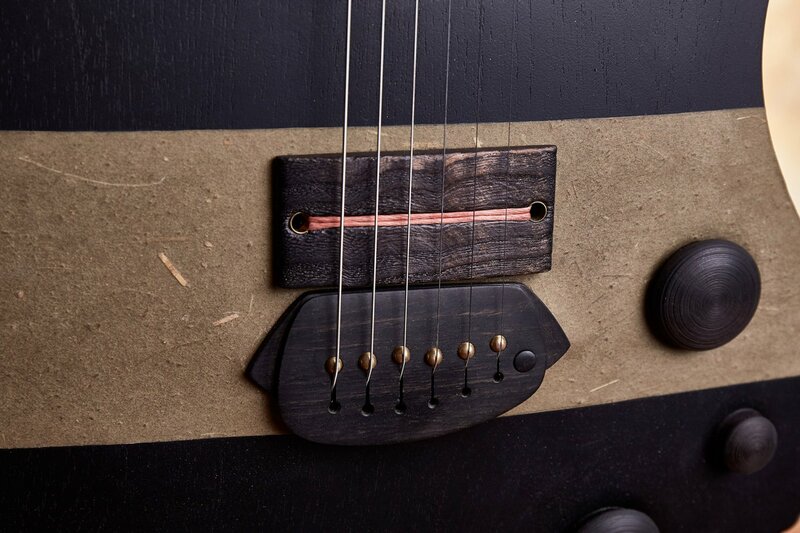 There is also a discreet push button inside the bridge for splitting the pickups and the pickup covers are fashioned from the Japanese wood pauwlonia (used in the classic Japanese furniture making), with a traditional "sugi shou ban" burnt finish borrowed from traditional Japanese house-making. 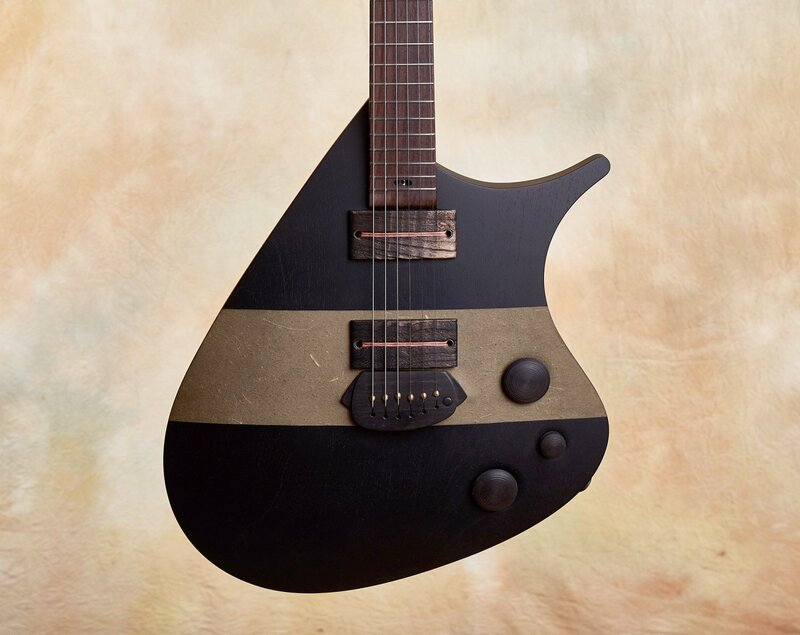 The guitar is wearing a "bashimen" (pickguard in Japanese) made out of washi - a traditional Japanese paper made out different elements such as fruits, grains, and wheat. 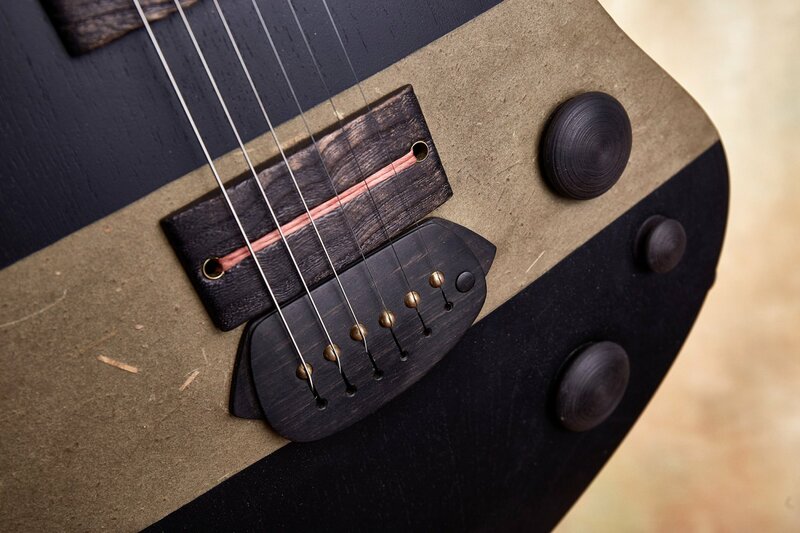 This is a guitar that is just riddled with stunning small design details. 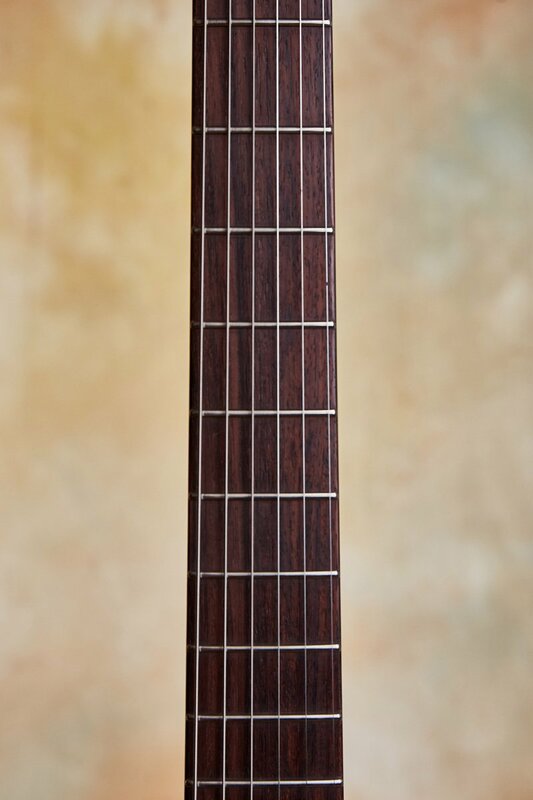 You discover more and more of them as you examine and play it. 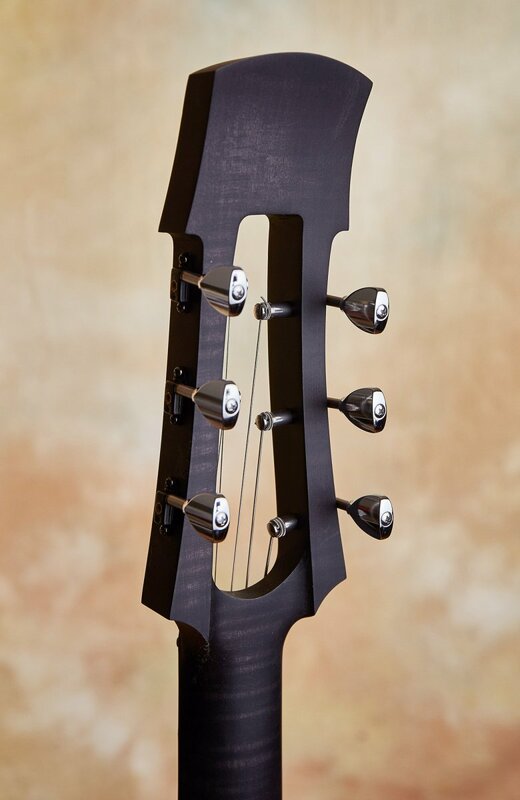 Yet beyond the various deep and expertly executed cultural nods there is an incredible instrument - an instrument with immense depth and range, whose myriad of small amazing sonic details, just like the visual design elements, emerge over time through many surprising moments. 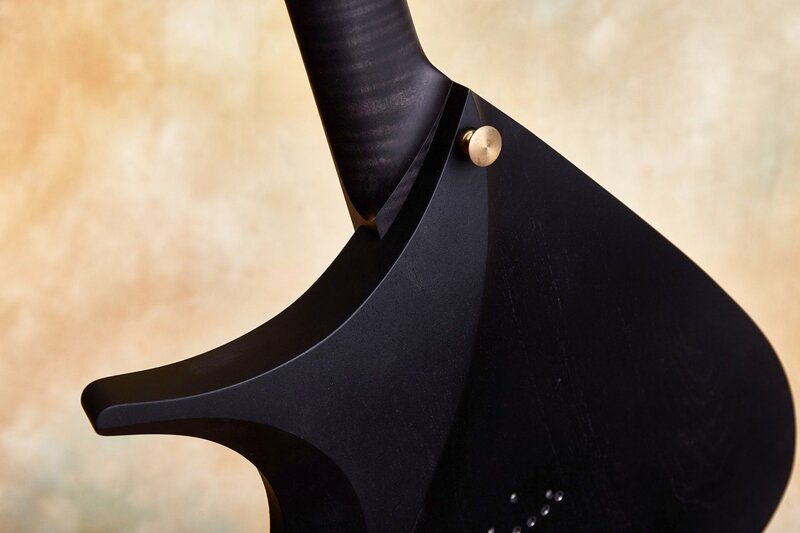 If you have an appreciation for the poetic aspecs of traditional Japanese culture combined with almost mind-bending modernity or if you just love anything incredible this one really deserves a close look! 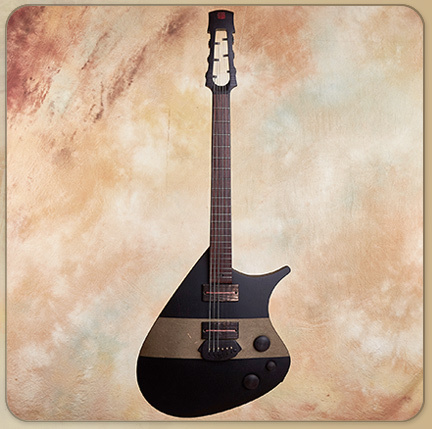 Tao Guitars' hot rod inspired creations represent a crucial contribution to the modern guitar building art form. 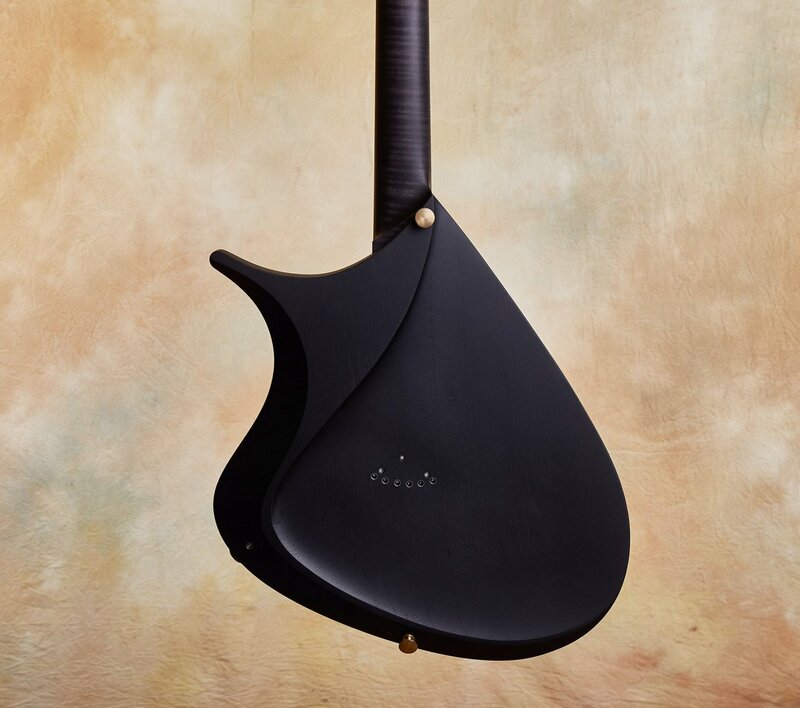 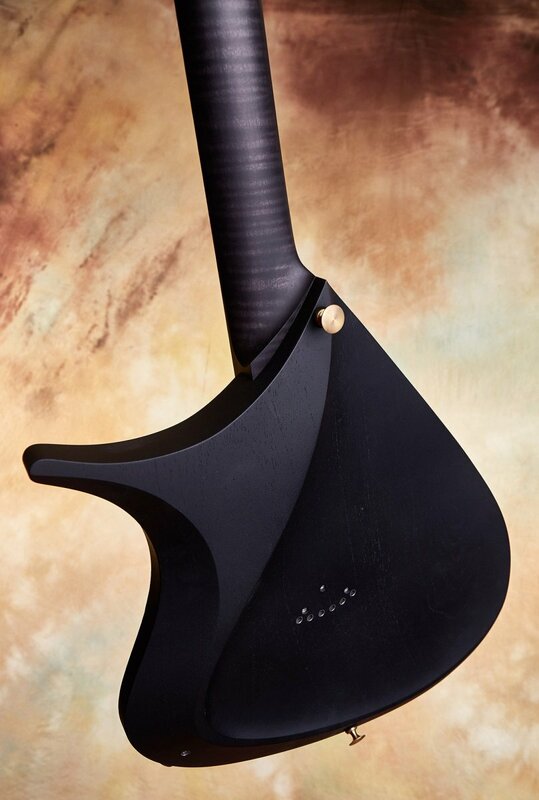 First & foremost, all Tao Guitars instruments are fully hand made from wood cutting & shaving to finishes, sanding & polishing, everything is done the old way using rasps, scrappers, chisels & sweat which make each piece unique due to the somewhat random aspect of the real by-hand work. 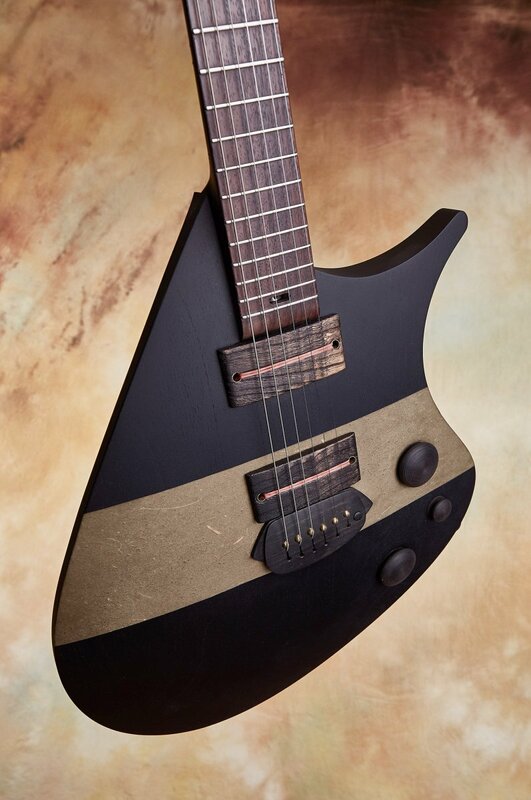 Tao Guitars approaches every project as unique. 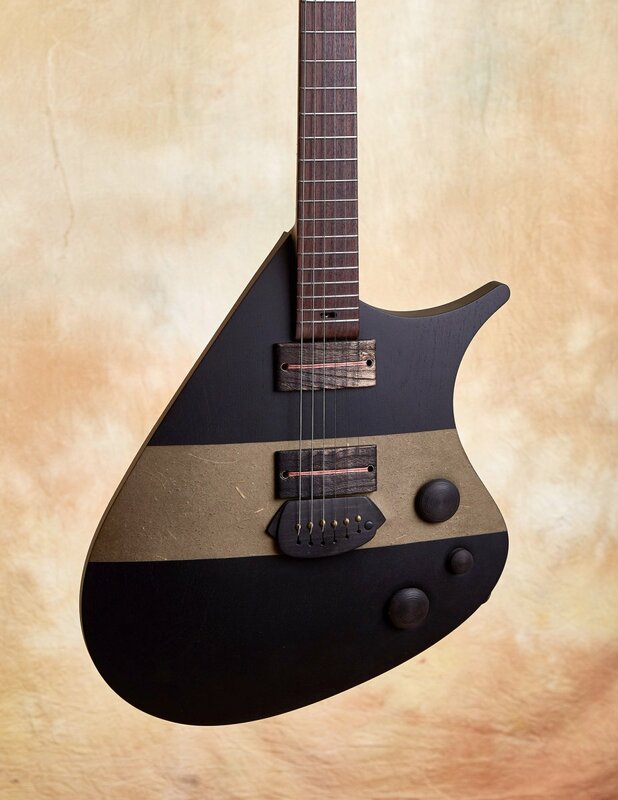 That's why they don't make guitars in series or batches. 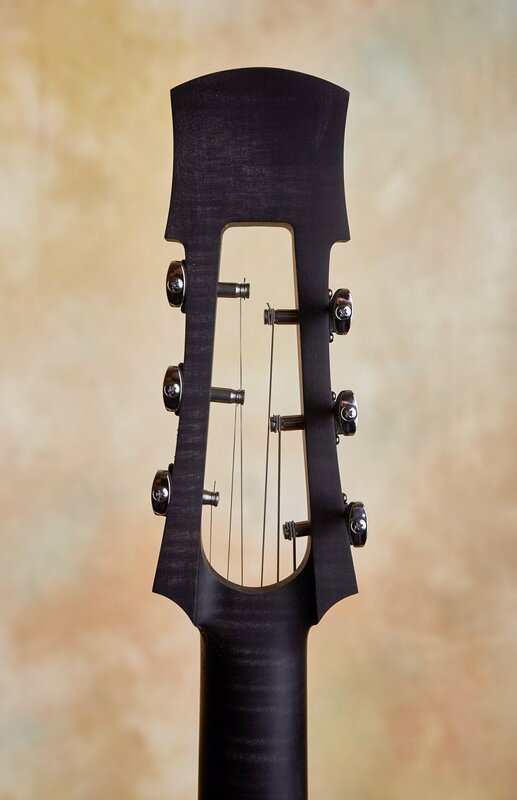 Every instrument has its own character, its own body contour or neck shape, custom color & hardware. 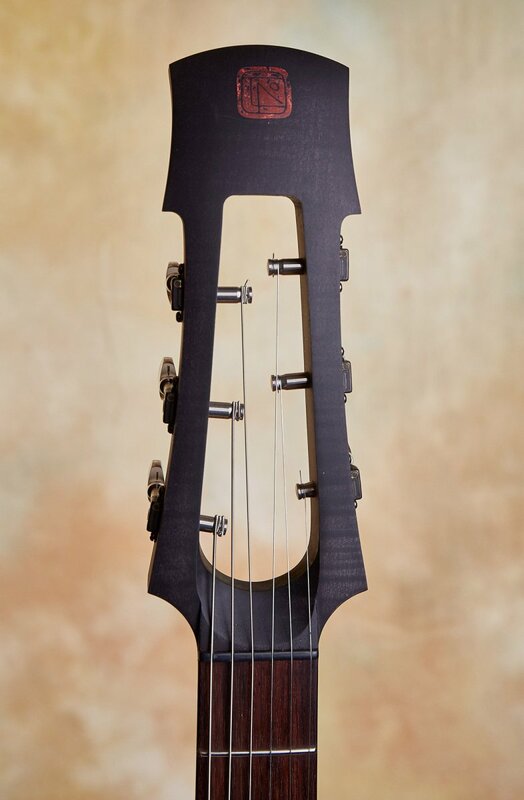 The sum of all these little details is instruments that sound clear, articulate, harmonically rich, heavenly sustaining, with a big bold jaw dropping tone DNA. 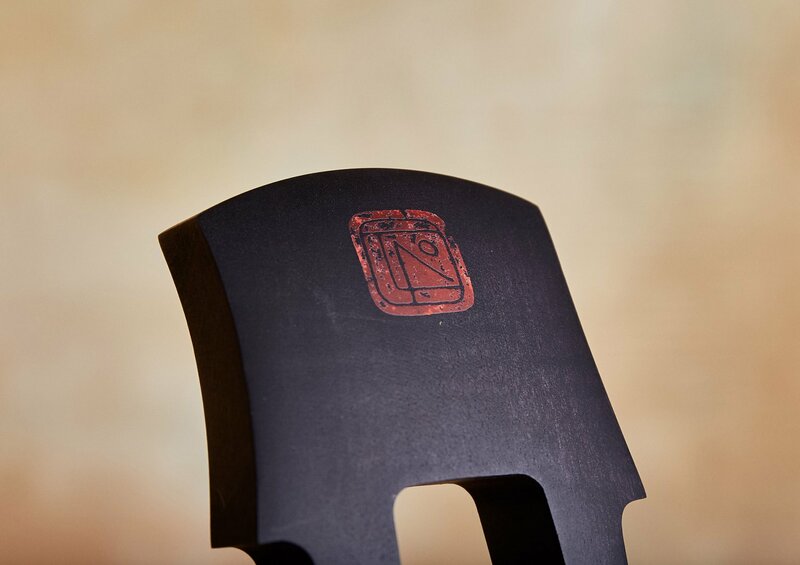 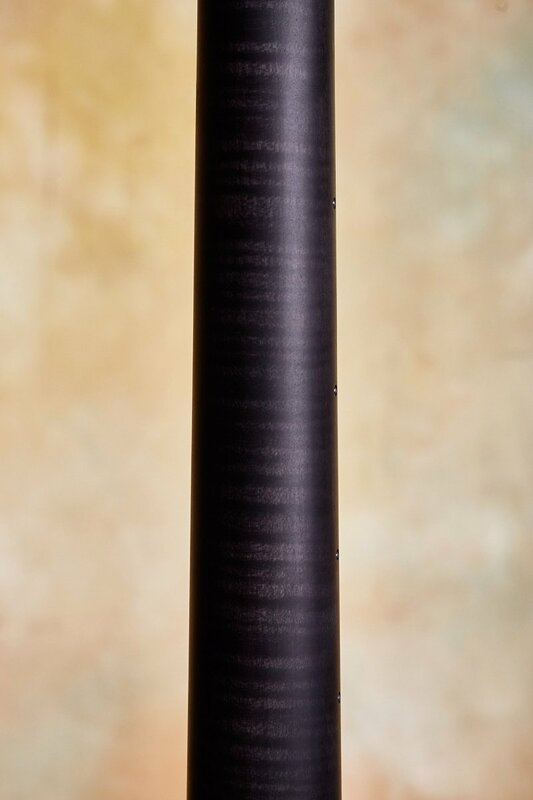 Tao Guitars only builds one-off masterpieces!